Southwest Bond Services, Inc. is a bond specialist serving Phoenix and surrounding communities. We have more than 25 years of experience providing excellent service and upholding the strictest confidentiality for every client. Our locally owned and operated bond company provides reliable service for contractor’s license bonds, title bonds, probate bonds, notary bonds, and more. Whether a bond is required for working with a local municipality, state or federal government or to project the right image of credibility for your business, we work with the most reputable companies to ensure the highest level of service for our clients. We offer bond writing services for court bonds, license and permit bonds, fidelity bonds, and contract surety bonds, including bid bonds, payment bonds, performance bonds, and miscellaneous contract bonds. The process varies widely, depending on the type of bond that you are seeking. Some require an intense process and extensive documentation. 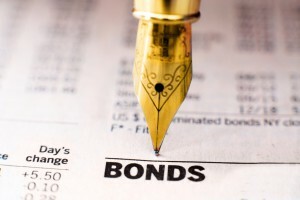 We have the expertise to ensure the most efficient bond writing service for each client. Let a bond writing specialist from Southwest Bond Services, Inc. guide you through the process and avoid being denied for the bond you need. We invite you to browse through our website to read more about our company and the bond services we provide in Phoenix and surrounding communities. For additional information and a quote for your bond, please contact us by telephone at (623) 974-6453 or complete the short form on our website to request a quote online.